As well as being an accomplished musician, Metheny has also participated in the academic arena as a music educator. At 18, he was the youngest teacher ever at the University of Miami. At 19, he became the youngest teacher ever at the Berklee College of Music, where he also received an honorary doctorate more than twenty years later (1996). He has also taught music workshops all over the world, from the Dutch Royal Conservatory to the Thelonius Monk Institute of Jazz to clinics in Asia and South America. He has also been a true musical pioneer in the realm of electronic music, and was one of the very first jazz musicians to treat the synthesizer as a serious musical instrument. Years before the invention of MIDI technology, Metheny was using the Synclavier as a composing tool. He also been instrumental in the development of several new kinds of guitars such as the soprano acoustic guitar, the 42-string Pikasso guitar, Ibanez's PM-100 jazz guitar, and a variety of other custom instruments. He took the whole instrument development process into a different level with his mechanical, solenoid driven Orchestrion. It is one thing to attain popularity as a musician, but it is another to receive the kind of acclaim Metheny has garnered from critics and peers. 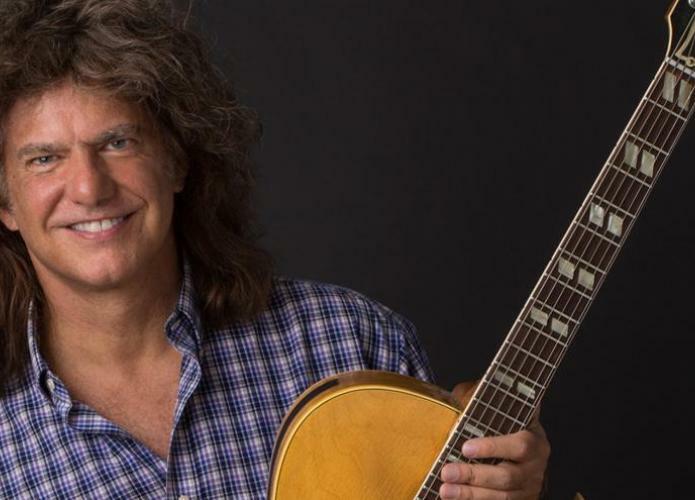 Over the years, Metheny has won countless polls as "Best Jazz Guitarist" and awards, including three gold records for Still Life (Talking), Letter from Home, and Secret Story. He has also won 20 Grammy Awards in 12 different categories including Best Rock Instrumental, Best Contemporary Jazz Recording, Best Jazz Instrumental Solo, Best Instrumental Composition. The Pat Metheny Group won an unprecedented seven consecutive Grammies for seven consecutive albums. Metheny has spent most of his life on tour, averaging between 120-240 shows a year since 1974. At the time of this writing, he continues to be one of the brightest stars of the jazz community, dedicating time to both his own projects and those of emerging artists and established veterans alike, helping them to reach their audience as well as realizing their own artistic visions.